[/av_heading] [av_textblock size=” font_color=” color=” admin_preview_bg=”] Born and bred on the Green Grove organic farm at Kamarah near Ardlethan NSW about 100km west of Junee, where his father Allan has been practicing organic farming since 1962. Married to Coral, with Children Dean (our current Licorice Maker) Mitchell and Rhiannon. 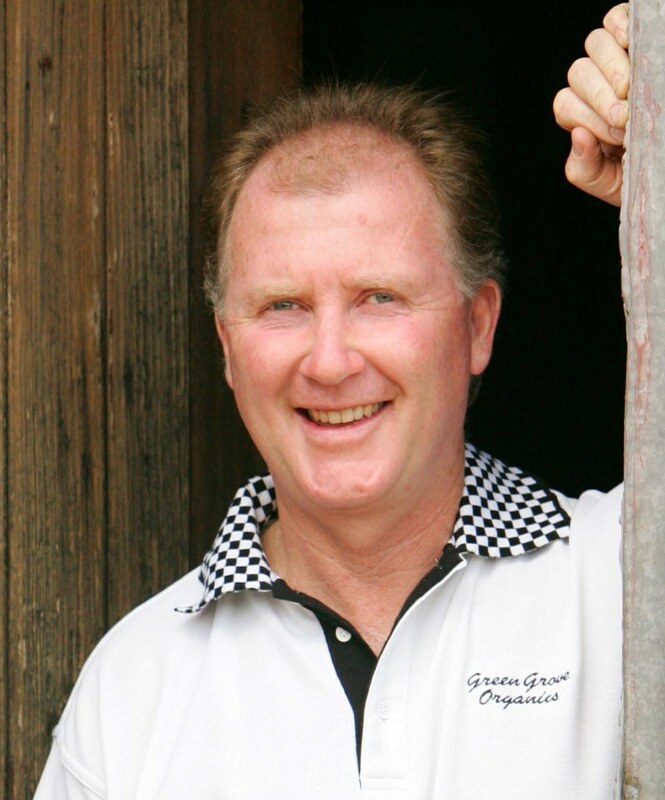 Has been Managing Director of Green Grove Organics since 1998. Much success in business is about luck and grabbing opportunities as they become arise. Be confident in your own decisions and take calculated risks. When an opportunity presents itself it may not always work but it certainly won’t if you don’t grab it. Dare to be different – in fact I find it very exciting to be different – once a new industry is on the front cover of a newspaper its all over.The Junee Licorice factory certainly fits this criteria – it is the only one in the southern hemisphere. I believe in organic produce but I am not fanatical – I will lure you with great food instead. Communication is very important. Part of Neil’s place in the business is now communicating about the business, the product, services and ethics to staff family, school children, and up and coming entrepeneurs.